Either mince the fat or finely dice it by hand; dicing gives a little extra texture to the smalec. Put the fat into a heavy-based saucepan and place over a low heat to start to melt it, stirring from time to time. The low heat is important (Andrew gets told off by his Polish mother-in-law for trying to rush this bit). Once the fat is melting nicely, add the bacon, onions and garlic and continue cooking on the lowest possible heat until the bacon starts to go a little crisp, the onion is soft, and the smell is irresistible. Season generously with salt and pepper and add the chopped marjoram or oregano. Pot into sterilised jars or a suitable serving crock or dish and allow to set, then place in the fridge. It will keep in jars in the fridge for a couple of weeks. 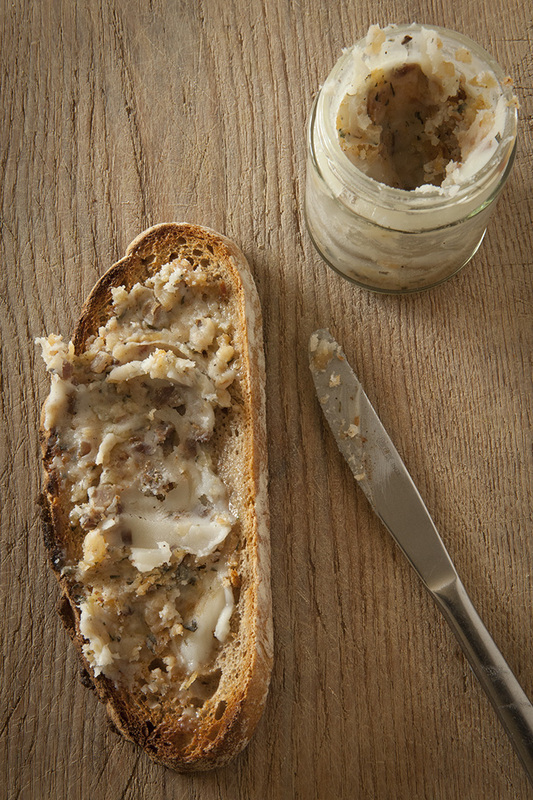 To serve, take a large slice of freshly baked bread, spread generously with smalec and season with flaky salt. Take the second slice with a proper dill pickle, have a shot or two of vodka and continue until satisfied.